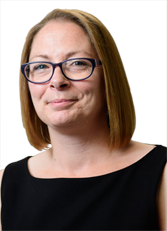 Samantha joined the team at Bridge McFarland in 2015 as a Legal Assistant in the Medical Negligence department at the firm's Grimsby office, servicing her own cases and supporting Senior Solicitor Chris Gresswell-Green. Samantha obtained a law degree from the University of Lincoln in 2014, before going on to study for her Masters degree at Nottingham University in 2015. She completed her Legal Practice Course at BPP University Law School in 2018 and attained a training contract with Bridge McFarland in September the same year. Samantha volunteers for Action Against Medical Accidents (AvMA) which is a UK charity for patient safety & justice who provide free independent advice and support to people affected by medical accidents through their specialist helpline.